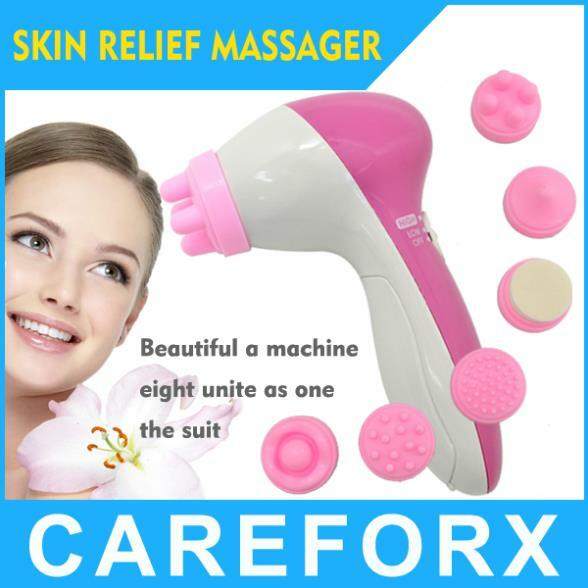 ● 6 in 1 Beauty Massager, can be used alone or with any other skin care system. ● A safe and effective alternative to chemical and laser peels. 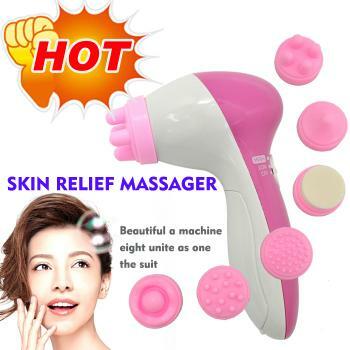 ● Help remove black heads without hurting your skin with hard squeezing. ● Reduces and erases sun damage, fine lines and wrinkies, age spots and skin discoloration. ● Firms skin and muscle tone to reduce sagging, enhances new cellular rejuvenation. 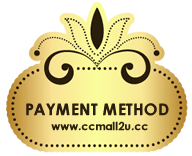 ● Application with facial cleanser,facial mask or beauty cream to better cleaning your skin. ● 2 x AAA Batteries required. Batteries not included. Sikat ini berfungsi untuk mengangkat kulit mati di wajah, menjadikan wajah anda lebih bersih dan bersinar. Sesudah pembersihan, gunakan contour massager ini untuk memijat kulit wajah, mengedarkan dan melegakan rasa tegang dan mengecilkan pori-pori.